A new Air Jordan 1 arrives this month in a full leather build and subtle grey-based colorway. 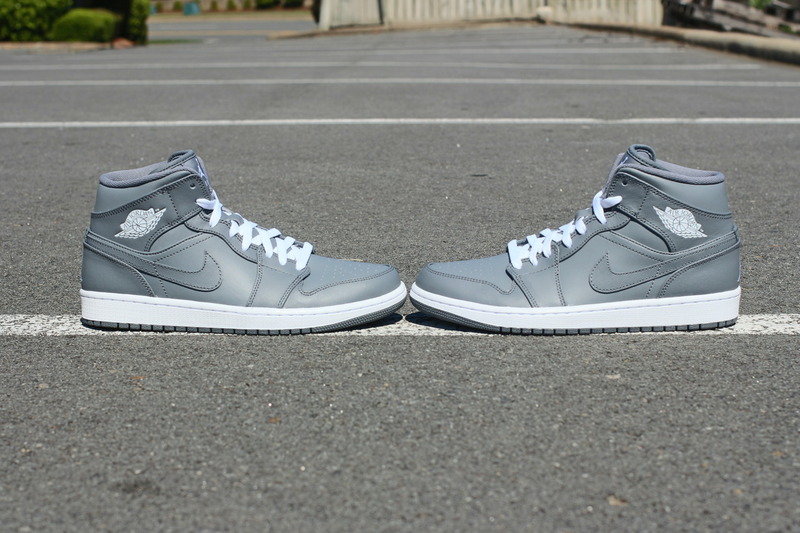 The lifestyle-driven Air Jordan 1 is constructed of smooth leather and is colored up in cool grey. Minimal white accents add some contrast to these classics over the laces, tongue Jumpman and classic Wings logo on the collar. A classic Air Jordan 1 sole sits below in white and grey. The Cool Grey/White Air Jordan 1 Retro Mid is now available at Jordan Brand accounts nationwide.